These days everyone knows about the Bugatti Veyron and it’s esteem as the fastest production car in the world. Fewer people know about the car that came before it, the Bugatti EB-110, that was among the fastest production cars of its time. In the late 1980s Bugatti had reappeared as a full on supercar manufacturer under Italian entrepreneur, Romano Artioli. No longer based in Molsheim, France, but now in Modena, Italy with other such manufacturers. The EB-110 was unveiled in 1991 in France to mark the 110th birthday of the great Ettore Bugatti, who’s name the company bears. The EB-110 was hailed as the most technologically advanced car of its time, with its all wheel drive and V12 that had four turbochargers hooked up to it. A total of 139 cars were produced before Bugatti went under, making EB-110s extremely rare. There were two models produced, the GT and the SS, with 552hp and 611hp respectively. Performance numbers for the GT were, 0-60 in the mid-high 3 second range and a 213mph top speed, and the SS was a little quicker achieving 0-60 in 3.2 sec and a top speed around 220mph. At the time the EB110 could hve given the Jaguar XJ-220 a run for its fastest production car crown, but no official tests were undertaken. 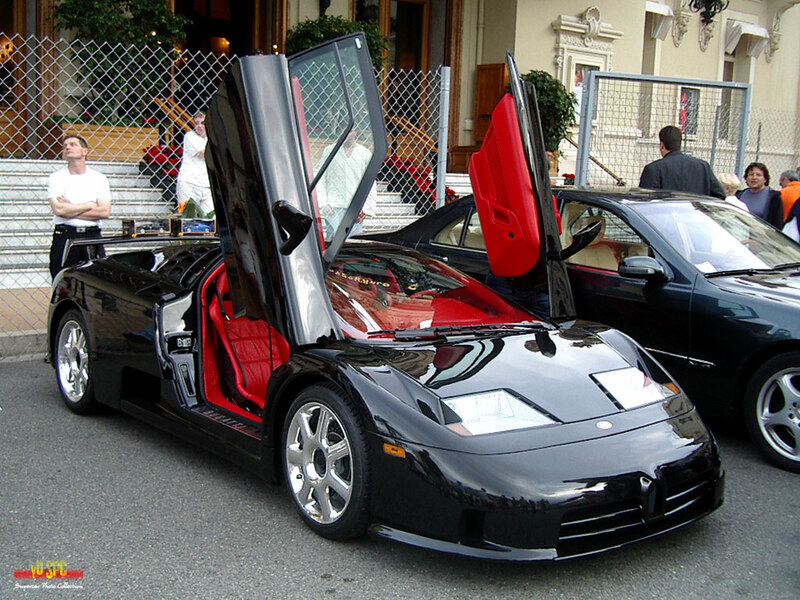 Styling wise the EB-110 borrowed much from Lamborghini, most noticeably with its scissor doors that open vertically. It was also fairly luxurious for a supercar of its day with leather and wood appointments throughout it’s interior, certainly so when compared to a Ferrari F40 or a Lamborghini Diablo. After the demise of Bugatti Automobili in the mid 90s, the remaining unfinished EB110’s were purchased by Dauer Sportwagen GmbH, a company made famous for their road homologation of Porsche 962 racing cars. Dauer produced 5 more EB-110s all upgraded to 650hp and capable of 230mph. The Bugatti EB-110 is an exotic among exotics today. I have known about the car since I was young because it happened to be my favorite model car as a kid. It is an incredible piece of engineering and will remain an exotic collectible for the elite of the world.